From airbag vests to a VR training platform, these are the tech companies that caught my eye. In the modern age of athletics, the intersection of sport and technology is often where champions are made. At the Olympic level, the margin of winning is so small, that leveraging new technology can be the difference between a gold or a silver medal. As the Olympic Games wrap up, here are the technology companies that were on full display at the games and caught my eye. I'll start, of course, with skiing (I am a former Olympic skiier, after all). Here, the big news (aside from the Marvel suits) were the MIPS (Multi-Directional Impact Protection) helmets -- like the Giro Avance -- worn by some of the U.S. skiing team. With downhill skiers now hitting speeds of over 90 mph, serious, life-threatening injuries are becoming all too frequent a risk. The Avance MIPS helmet has a ball-and-socket type slip plane that reduces rotational movement in an angled impact, minimizing spinal and neck injuries. Along a similar line, Italian company Dainese introduced their airbag vests into many teams' must-have lists this year. These were originally invented for Moto GP motorcycle riders. Seven sensors in the vest detect when the racer is losing control and likely to crash. They instantly inflate, creating a cushion of air that eliminates the hard impact onto ice, or the ground, at speed. Austrian Matthias Mayer owes his life to one, after crashing at speed while spinning in 2015. A fractured vertebra was the result -- rather than the unimaginable consequences of not having the inflatable vest. Samsung is displaying its latest training aid on home ground at Pyeongchang, too. The Dutch speedskating team used its SmartSuits on two of its team members. These suits have tags and sensors that relay real-time information on the position and posture of the skater, which is analyzed by software, and then displayed to the team coaches. The coaches can then send corrections and refinements to the skaters, live. Of course, they can only use this one in training. Samsung is not alone; companies like Athos and Lumo Run are taking live feedback a stage further, by measuring muscle activity -- real-time muscle activation, left right balance, muscle contribution, and heart rates -- rather than just positioning. Unlike the Samsung system, Athos links to a "Core," via built in sEMG (Electroactive Smart Materials) sensors arrayed in an undergarment worn by the athlete. This Core processes the data, and sends it to a phone app. Here, it can be personally calibrated to reflect the build and form of the athlete. The app feeds back vital signs to aid adjustments in pacing, weights, speed and a host of variables to the coach, or the athletes themselves. Ravean rolled out their heated pants and jackets and were commonly used by athletes to keep their muscles warm prior to their compeition. Halo Neuroscience is using the brain, rather than the brawn, to fine tune athletic performance. Developed in San Francisco, by a team of doctors, neuroscientists, athletes, engineers and designers, Halo Sport is a closed loop neurostimulation device, which targets the motor cortex region of the brain, the area controlling muscle activity. Using "brain plasticity," the device, in the form of headphones that fit across the skull, attempts to hone motor skills, endurance, and strength. The idea of training in a real environment has changed with this Winter Olympics, too. Flying through the half-pipes, slaloms and ski jumps can now be done in your local gym. Virtual reality simulation is now, well, a reality. Strivr Labs, started at Stanford University, and now a company in San Francisco, is a leader in virtual reality. Its sports training platform allows athletes to practice without putting themselves in danger, sustaining injuries or even having to travel. 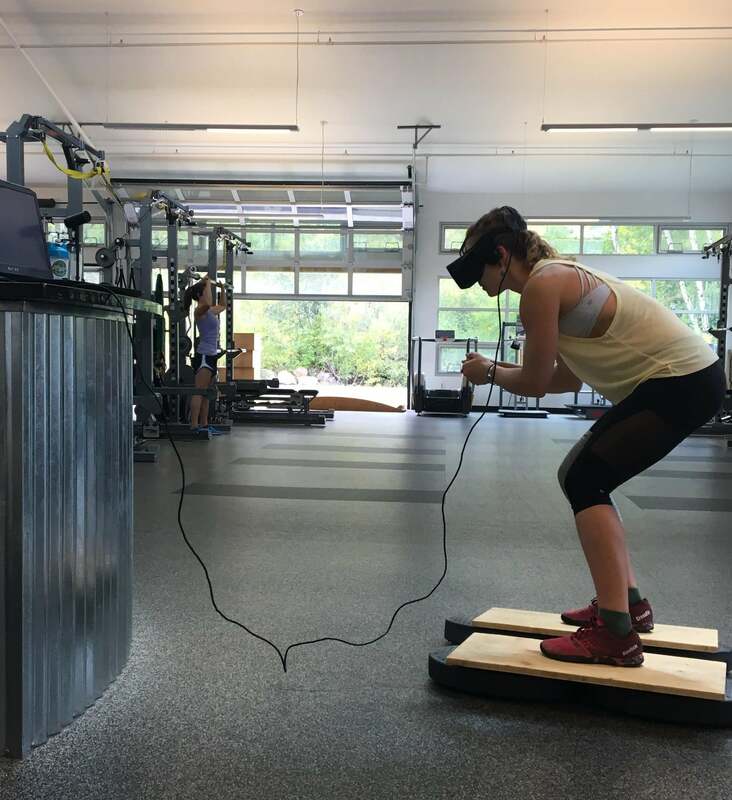 Like a cross between a Wii, a surround sound TV and an aircraft simulator, Strivr's devices enable athletes to use immersive, 360-degree video of situations and track layouts they will encounter. This allows them to replicate a run, down, say, the giant ski slalom at Pyeongchang -- wherever they are. 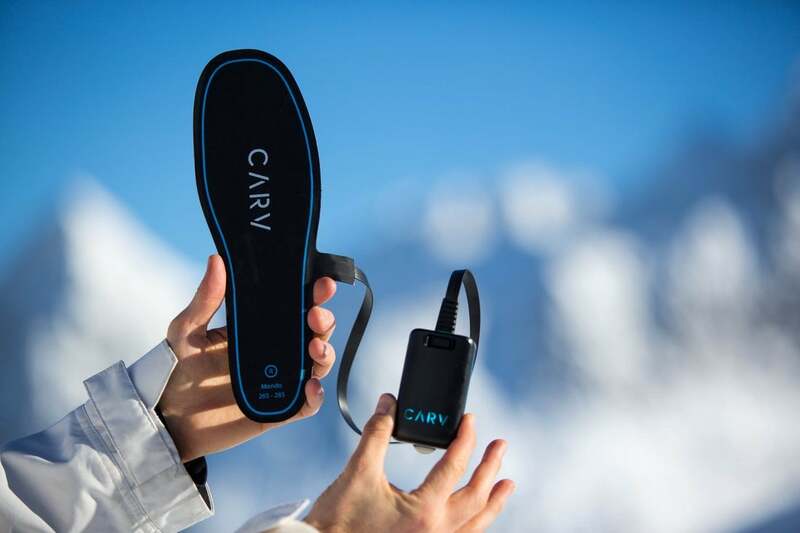 Carv -- a British outfit, based in London -- got together a team of mechanical and electrical engineers, marketing and business experts, all with an interest in skiing and built a device that acts as a magnetometer, gyroscope and accelerometer in one; giving 3D motion sensing, in nine axes, by utilizing 98 pressure sensors, in a ski wearable -- in this case ski boots. This is linked, via Bluetooth, to a phone app, which gives GPS tracking, real-time audio tracking, ski IQ and technique analysis to the skier -- as they ski. By using earphones, you can listen to a "virtual ski instructor" correcting issues and improving technique and control. At the finish of the day skiing, it gives a record of your runs -- showing all of the activity. This Winter Olympics is a timely reminder that businesses, too, need to keep up with advances in technology. It is a full-time job -- large companies are employing dedicated "technology officers" to make sure innovation is at the forefront of their operations. Not all of us can do that, of course, but, like the athletes and coaches, this year, you need to run with the changes, or you'll be left at the gate and wondering where your customers went.